In scope, ambition, likely impact and news value - that is, what it has brought to light - the DCMS Select Committee report on fake news and disinformation is a significant moment. Indeed, when the history of regulation of the technology sector in Britain is written some day, its unlikely path to the top of the best-seller list will owe a substantial debt to the work of this cross-party group of MPs. Perhaps the strongest line to emerge is the claim that Facebook "intentionally and knowingly violated both data privacy and anti-competition laws". This is a striking thing to allege, and creates the potential for strong legal sanction. Of course, Facebook will resist such allegations with customary vigour. In this blog, I will analyse some of the key areas on which the select committee has reported. Select committee sessions used to be more genteel affairs, with civility and good manners to the fore. The incursion of television cameras, and the collapse of many other traditional forms of democratic scrutiny (including the refusal of many politicians to do sit-down interviews on TV) have changed all that, giving them spice and influence they previously lacked. This inquiry got testy at times - particularly because of the unconventionally brazen approach of Brexit donor Arron Banks and his associate Andy Wigmore (more of which below). There was also heat because of Mark Zuckerberg's refusal to show up, despite repeated invitations, which angered the committee. Their assessment of Facebook's failings is unsparing and brutal. They say the company was willing to "override its users' privacy settings in order to transfer data to some app developers". This is eerily redolent of the central charge in the Cambridge Analytica scandal, where the data of tens of millions of users ended up with an academic who wasn't supposed to have such access. If it is true that Facebook registered the privacy settings of some users but was willing to "override" them, that would be a grave matter, and indicate a fundamental breach of trust. Facebook will therefore want to prove the allegation is false swiftly. 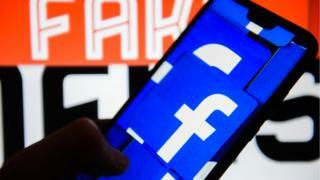 Facebook's head of UK public policy said: "We share the committee's concerns about false news and election integrity and are pleased to have made a significant contribution to their investigation over the past 18 months, answering more than 700 questions and with four of our most senior executives giving evidence." The committee also says that in charging "high prices in advertising to some developers, for the exchange of data, and starv[ing] other developers... contributing to them losing their business", Facebook was acting in an anti-competitive way. This goes to the heart of Facebook's business model - and extraordinary economic power. Facebook always insists it doesn't sell user data. But the astonishing technology Mark Zuckerberg pioneered paints a digital target on users by analysing their behaviour, predicting future behaviour and sharing aspects of this analysis with advertisers who want to target particular groups. The scandals of recent years have made the public much more aware of how this is happening. This report will fortify public awareness of the core transaction between Facebook and its users - one the company has been more open about in recent times, by the way, while also becoming much more transparent in sharing information with users. Ah, transparency. Up to a point, Lord Copper. It was a senior civil servant at the Home Office who used the phrase "not fit for purpose" about that department, but when Labour's John Reid deployed it, it became common parlance. The select committee deploys this phrase in reference to electoral law and political advertising. Clear micro-targeting of voters, of the kind deployed in US presidential elections from 2008 until now, and also in the Brexit referendum, brings with it the profound danger that people outside a polity can interfere in an election. The extent of Russian interference in the election of Trump is currently being investigated. This committee wants an independent investigation into similar influence here. And it makes plain the fact that current electoral law is too weak at dealing with this new threat. The recommendation for a new legal definition of digital campaigning and online political advertising is an attempt to wrench laws pertaining to electoral advertising from the era of leaflets and billboards to that of Facebook and Twitter. It is obvious such a wrench is necessary. It is not obvious what that new legal definition will be, because advertising and messaging come in an almost infinite number of forms. With exquisite timing, Brittany Kaiser, a former employee of the British data firm that collapsed last year, has been subpoenaed by the Mueller Inquiry. Kaiser appeared alongside Arron Banks at the launch of Leave.EU, the alternative Brexit campaign set up by the UKIP donor. The relationship between Banks and the committee has turned nasty. Banks is openly attacking the chairman, Damian Collins MP, in his constituency, and released a sarcastic response to the report yesterday. There are inquiries already under way, by the Electoral Commission and National Crime Agency, into Banks's finances and the origin of his donation. Banks denies all wrongdoing. This final report doesn't go much further than it did at the interim stage in criticising Banks, but it does repeat calls for further investigation (by the National Crime Agency) of SCL Elections, a company to which Cambridge Analytica was associated. Most significantly, the report notes that many of the individuals and practices found in SCL Elections and its associates have reformed under new corporate structures, including Emerdata Ltd.
Will a few companies based mostly around San Francisco obey, and take seriously, a code of ethics set up by Britain? This recommendation in the report, which is close to that made by Dame Frances Cairncross in her recent review of the future of high-quality news, derives force from the suggestion that any such code should be overseen by an independent regulator. If regulation of the internet were easy, it would have happened a while ago. Regulation is slow and consensual; it is the very nature of technological innovation that it is fast and unpredictable. Is this a new regulator - Ofnet? Or is it part of an old one - Ofcom? I don't think Ofcom are too keen. What will it regulate? Social media? OK - is Snapchat social media? They say they're a camera and communication company. What about a platform for OAPs in the Swindon area set up by a local computer whizz? Will that be subject to the same rules as Facebook? And how do you keep up with the volume of content generated by two billion users? None of which is in any way to argue against regulation, of course. I have read the relevant section of the report twice. On page 14, under points 31 and 32, there is reference to the views of Sharon White, CEO of Ofcom, about what could be learned from broadcasting regulation. Under point 34, on page 15, there is also the suggestion of Guy Parker, CEO of the Advertising Standards Authority, that the government could decide online harms should be added to the purview of his organisation. The report then alights on the notion that a body called the UK Council for Internet Safety - of which Facebook is a member - could, perhaps, expand its remit to consider the "risk to democracy". Of all the sections of the report, this seems to me to be the area that is still not fully developed. There is extensive detail on what a new code of ethics would look like, but the granular particulars of what counts as a "tech company", and what the definition of "harm" is, remain unclear. Again, that is not to argue against regulation, merely to point out the great difficulties. Put together with the recommendations of the Cairncross Review and a recent speech by Labour's Tom Watson, this report shows that we are entering a new era in the relationship between technology and the law - but we don't know what it looks like yet. The committee has done some significant intellectual heavy lifting, and applied scrutiny to companies and individuals who often evade it. But such is the nature of digital technology that really this marks neither the beginning nor the end, but rather the end of the beginning, of a conversation between legislators, technologists and the public about how to put the astonishing power of these innovations to better use. In other words, how to shift power from Big Tech back to citizens. Which, after all, is what Big Tech always claimed to be about.